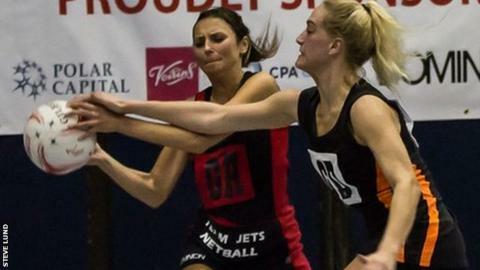 Jersey's Team Jets lost for the fourth time in five games as they went down 55-51 at unbeaten Premier League Two leaders Tameside. The island team led 29-26 at half time, but the Manchester-based home side dominated the third quarter as they took a seven-goal lead. The result left Team Jets third-from-bottom in the table. Premier League Two is the highest level the Jets have played at after being promoted via last season's play-offs.